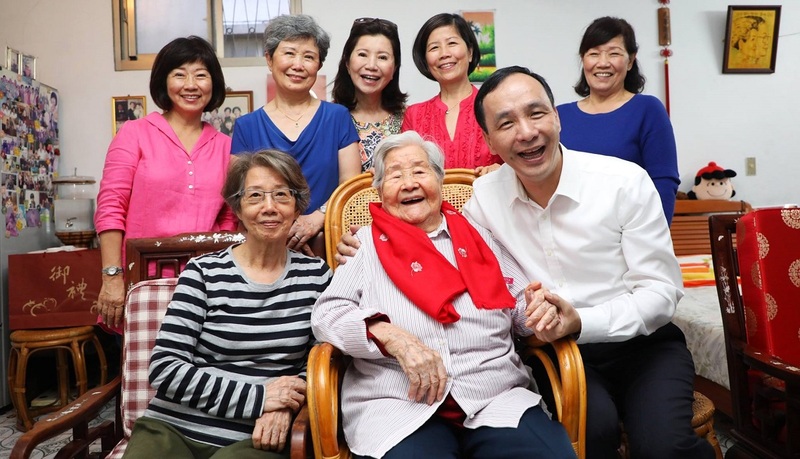 Mayor Eric Chu shares how the city is building a gig economy for the elderly. From Seoul to Tokyo, Asia’s major cities are ageing rapidly. New Taipei City joins this growing list of Asian cities that will become “super ageing” by 2026. “We all face the same challenge today, and we have to deal with all the problems regarding ageing,” Eric Chu, Mayor of New Taipei City, shared at a panel during the World Cities Summit. The city’s elderly population has doubled in just one decade. “10 years ago, the senior population in New Taipei City was 6.2%. Today, it’s 12.6%,” he said. “We expect that in 2026, it will be doubled again to 25%.” New Taipei City is redesigning services with senior citizens’ needs in mind, and has found ways to make health and social services affordable. New Taipei City is using the principles of sharing economy to improve care for the elderly. The city has developed two innovative ways to do this: First, it is recruiting volunteers and part time helpers using the internet. Second, it is encouraging old people to rent their vacant rooms and ensure that they have company in their homes. The city’s officials train senior citizens to provide care services for their fellow seniors. “Every district government in my city creates a lot of channels for those senior citizens to join us as volunteers.” Senior volunteers have to undergo 40 hours of training before they can become official volunteers. Under this volunteer programme, senior citizens can tap on the skills from their previous professions to help others. “You were a professor before, a doctor, or some other profession. You can still provide a service to the society,” he noted. For example, retired doctors can give free health consultations to other elderly citizens. Elderly volunteers accumulate volunteering hours in a “time banking” system and then redeem these hours later when they need other senior volunteers to visit and care for them. “Today, there are about 120,000 volunteers in my city. Most of them are senior citizens,” Chu shared. Volunteers can help alleviate the loneliness that their fellow seniors suffer from. “As a senior citizen after 65, it’s so difficult to eat alone, or only with your spouse,” he said. “Senior citizens need health, and social connection; they also need some respect or contribution. They need to be needed.” However, elderly loneliness is often compounded when their children move out of their homes, leaving empty rooms behind. New Taipei City helps senior citizens rent out these empty rooms to the city’s youth at a “very low” cost. Since the city needed “to create a platform for those senior citizens to be needed,” he shared, “how about as a landlord?” Living together allows the elderly citizens and the youth to share life experiences, which helps keep loneliness at bay. The cheap rent also decreases the financial burden on young adults’ budget. Meanwhile, a citywide dining programme – called “Dining with Seniors” – helps elderly citizens to find companionship with one another. Currently, there are nearly 900 sites across the city where they can eat a meal together. However, gender disparity remains a persistent problem, both in uptake of courses and volunteer work. Elderly males are less predisposed to participate in society than females, said Chu. In 2011, only 10% of active senior citizens were male. After eight years, the percentage of active male seniors has only increased to 25%. “It’s quite difficult to persuade male seniors to come out, to join us, to be a student, to be a participant again,” Chu lamented. This is a problem the city needs to continue solving, he added. The city restructured public services so that elderly citizens can conveniently access them all at any one government office. Senior citizens no longer need to visit different departments for specific services, when every office can provide them with the full range of services. “In my city, e-government means senior citizens can go to any office to get all the services. It’s not necessarily like before, where you get one kind of service at one office or district,” Chu said. Next, New Taipei City is giving free public services to the elderly in the hope that they will leave their homes more often to enjoy public facilities at no cost. For example, the city conducts free fitness programmes across its sports centres to encourage the elderly to exercise more. The city trains volunteers to teach senior citizens how to exercise at public sports facilities. Since its inception, over 400,000 senior citizens have joined the fitness programme. 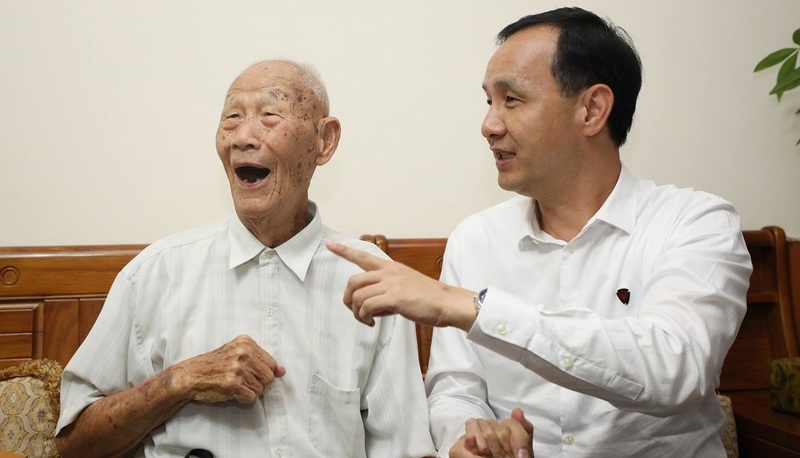 Chu’s administration has launched a website that lays out all elderly-friendly public services, so senior citizens can stay informed on the services that they need. The website provides contacts to medical help and advice on how they can redeem their social benefits. However, public funding alone cannot support all of New Taipei City’s senior-friendly programmes, and the city keeps them afloat by partnering with the private sector. “It’s crazy to provide a lot of free services to those elders. We do need some from the private sector,” he said. The city works with local eye doctors and spectacle companies to provide free reading glasses to the elderly. “We provide free glasses for the senior citizen the first time, but also provide a new opportunity to check their health,” Chu said. In the span of a few months, the initiative drew half of the city’s senior citizens to visit eye doctors, who then recommended ways on how they can take care of their eyes. “The only complaint from some grandpas is that finally the grandmas can see them clearly,” he joked. In another 10 years’ time, New Taipei City’s senior citizens will not merely be buying groceries in markets or playing chess in parks. They will be working in important roles in the city’s major companies, much like any other tech-savvy youth, and leading active lives long past the age of 65.